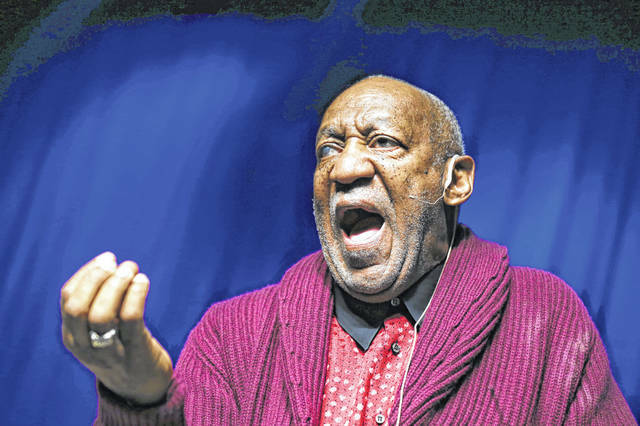 FILE - In this Nov. 6, 2013 file photo, comedian Bill Cosby performs at the Stand Up for Heroes event in New York. A jury last year convicted Cosby of drugging and sexually assaulting a woman at his home in 2004. COLLEGEVILLE, Pa. (AP) — Bill Cosby has been moved to a general population unit as he serves three to 10 years in prison for sexual assault in Pennsylvania. The move last week came after the 81-year-old actor spent about four months in special housing as he acclimated to SCI-Phoenix in suburban Philadelphia. Cosby, who is legally blind, now has a single cell in a two-story unit at the newly built prison in Montgomery County. Other inmates are assigned to help him throughout the day, given his age and disability, state prison spokeswoman Amy Worden said. Inmates there can spend several hours a day in the gym or exercise yard, and other time in the library, classroom, day room or visiting area. They have a sink and toilet in their cells, and are allowed to keep a TV or tablet there if they buy them. Inmates at Phoenix are awakened at 6 a.m. and back in their cells by 8:45 p.m. The prison conducts seven head counts each day, Worden said. A jury last year convicted Cosby of drugging and sexually assaulting a woman at his home in 2004. He is appealing the conviction. His spokesman, Andrew Wyatt, did not immediately return a call for comment Thursday. High-profile inmates — including the rapper Meek Mill and ex-Penn State football coach Jerry Sandusky — are often placed in special housing initially for their own safety, Worden said. Cosby was in a single cell near the infirmary with a private day room. Cosby, a Philadelphia native, rose to fame in the 1960s as the first black actor to star in a primetime television drama with the hit show, “I Spy.” He became known as “America’s Dad” for his portrayal of family man Cliff Huxtable on the top-ranked “Cosby Show” from 1984 to 1992. Dozens of women have accused him of sexual assault or misconduct over a 50-year span, including five who testified at his retrial last year. Cosby and his lawyers and agents have repeatedly called the encounters consensual.